Baloji directs his own videos and the creates the visuals for his varied projects. His first short fiction film, “KANIAMA SHOW”, will be released in March 2018. It takes the form of a satire on African propaganda TV shows. His first feature film, for which he has written the screenplay, is planned for 2019. 137 Avenue Kaniama is the distillation of a rhythmic atmosphere which calls on the musical heritage of the 1970s, that era of artistic apotheosis, when Afro-American artists were inspired by African music and vice versa. 137 Avenue Kaniama is also a book, with all its references (allusions to Dany Laferrière, or coopting the inventive energy of Tchicaya U’Tamsi and his famous expression, “Congaulois”, etc.). We are in a patchwork universe here, rich in words, parables, a universe of stories, poetry in motion, which points a finger at the failings of our societies, now ravaged by collateral damage from globalisation. 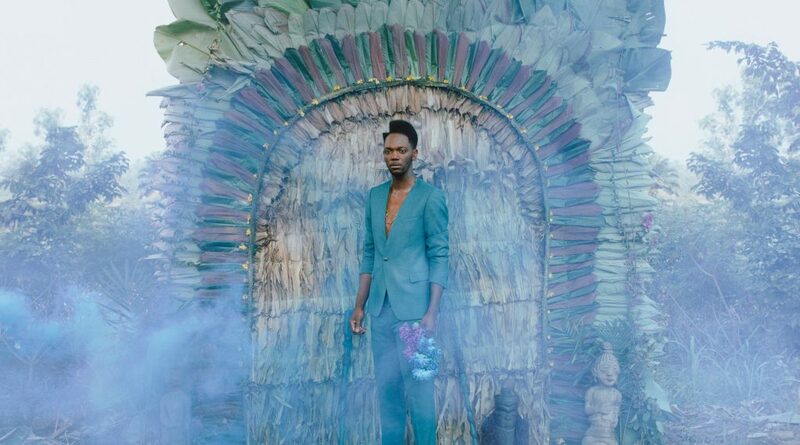 Baloji, with his legendary flamboyance, offers an artist-witness’s response to his era. Now it’s up to us to inhabit this space where freedom takes the form of art!